Wisconsin Clean Cities had a booth at the Westown Farmer's Market downtown Milwaukee on Wednesday, Sept. 13. We showcased a BMW i3 and an all-electric Zero Motorcycle provided by Schlossmann Motorcycles of Milwaukee. 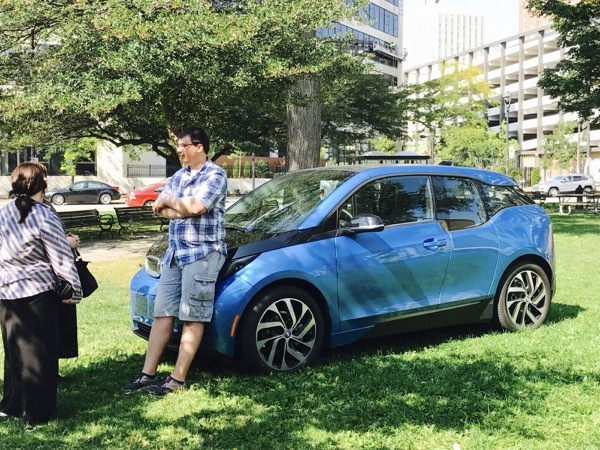 Join us as we kick off National Drive Electric Week (NDEW) at The Westown Farmers' Market. Enjoy an afternoon of fun and visit our booth to view an electric car and learning why EV's are a great alternative to traditional vehicles. Please note: Additional participation is limited and all of those interested in participating should reach out Wisconsin Clean Cities Program Specialist, Courtney Long at 414-221-4487. EV owners should not expect to show their cars. There are currently 8 attendees registered. Registered attendees report 79,500 electric miles driven.